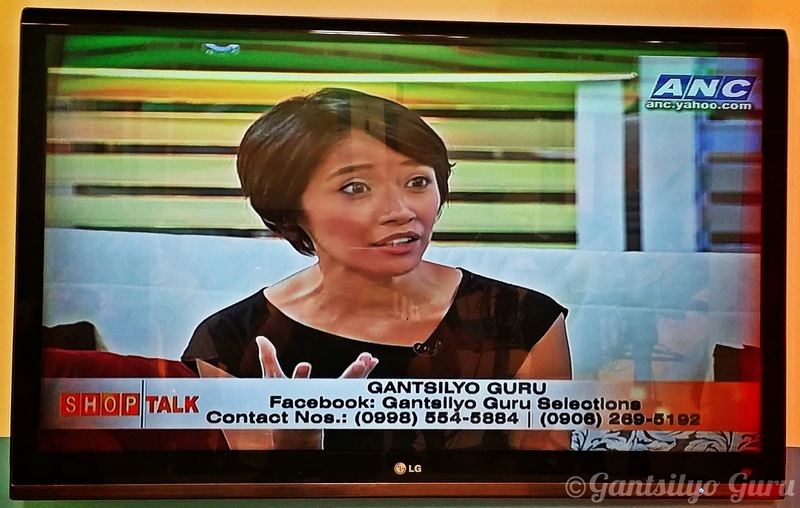 Last May 1, I had the opportunity to talk about my little online yarn store, Gantsilyo Guru Selections, on ANC Shoptalk. I'm a fan of the show because I always get inspired by the stories of their guest entrepreneurs. I would learn a thing or two about starting a business from every episode. 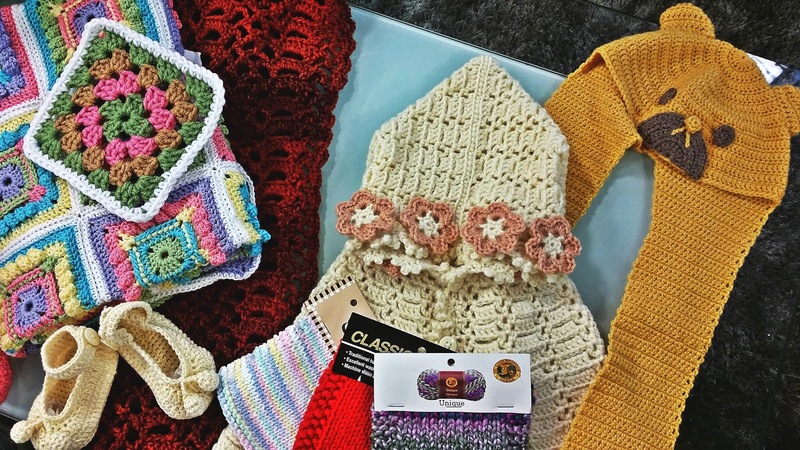 It was my turn not only to talk about my business but also to bring crochet "out there." I am happy I get to share this craft to a bigger audience. I brought some of the yarn and supplies from my store, as well as some sample projects. I've been watching this show for quite some time, but I only found out days before the shoot that it's a live telecast! I always thought every episode was taped. 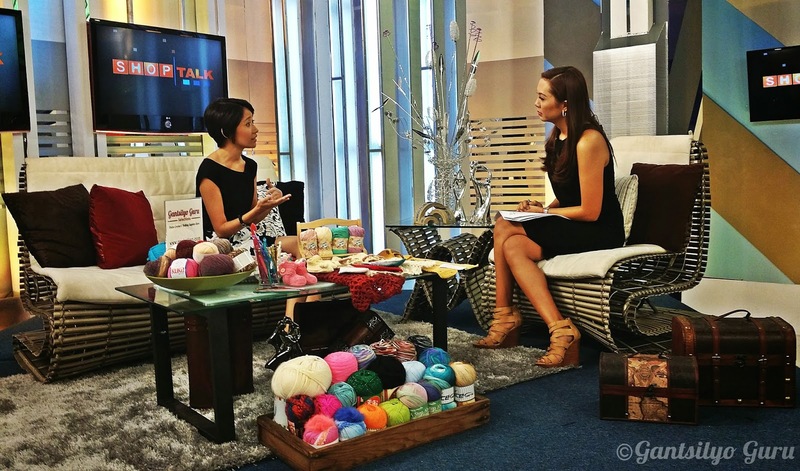 I also had a mini crochet demo with the host, Ria Tanjuatco-Trillo. We only had a few seconds but we pulled one off by having her do some chains! If you want to check out my interview, click the image below to be directed to the video from ANC. 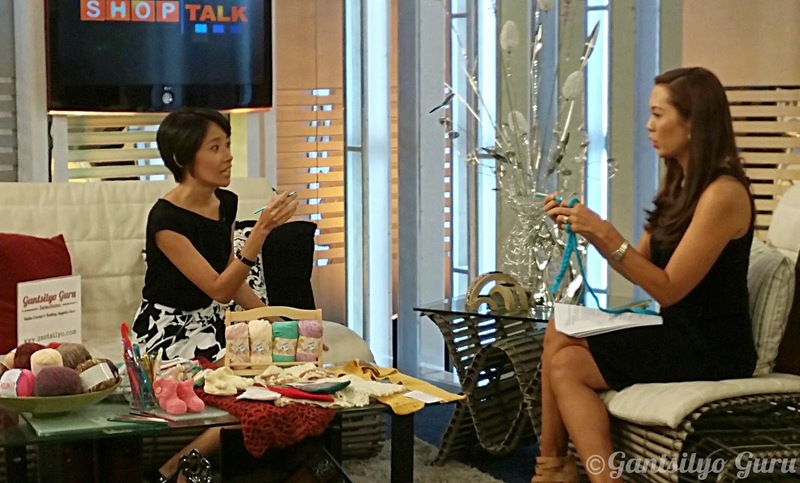 Super thankful to ANC Shoptalk for guesting small entrepreneurs like me! Shoptalk is shown on ANC (ABS-CBN News Channel) live every Thursday, 7:00 PM, on Channel 27 at Sky Cable. 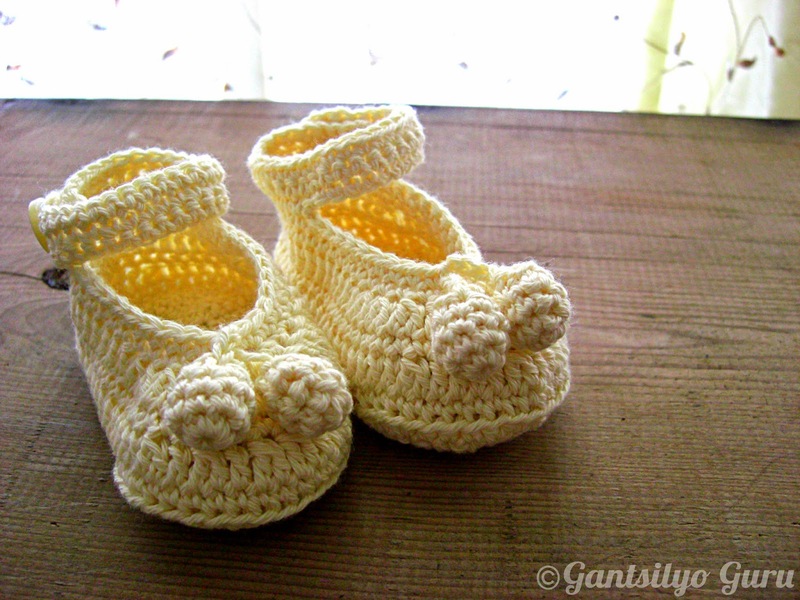 There is one thing I am sure of when it comes to crocheted baby booties (or shoes): they should be comfortable! I don't know much about babies but I know they have sensitive skin (especially newborns), so I guess it is ok to assume that choosing the yarn with the right fiber is key. The yarn has to be soft and lightweight. Do take note though that the kind of booties/shoes I am talking about here is not for walking. 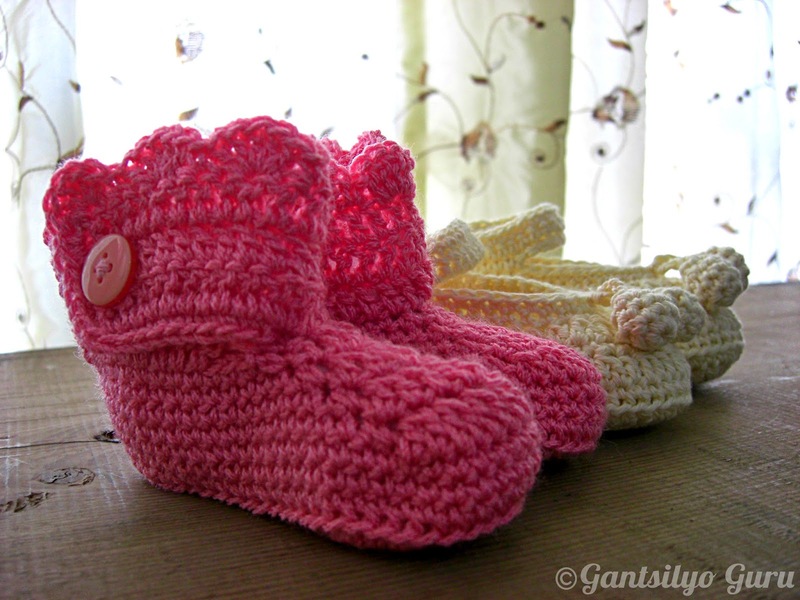 I am talking about booties/shoes for newborns and infants. People have been asking me what types of yarn I recommend from my store for baby projects such as these. I am only confident about recommending if I have tried the yarn, have gotten feedback from those who used them before, or have read reviews on them. 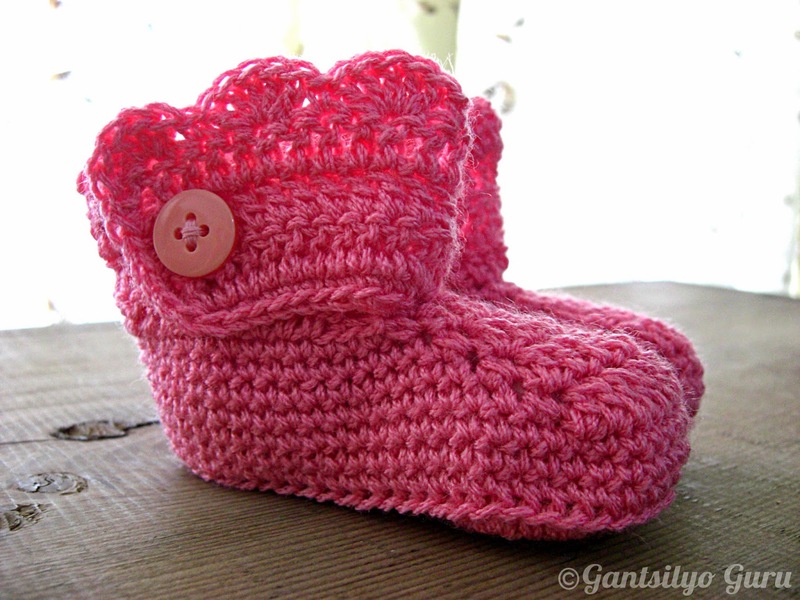 I have crocheted with two types of yarn for baby booties/shoes that fit the description above: Red Heart Baby Sheen and Hamanaka Paume. This one was crocheted with Red Heart Baby Sheen in Pink and Hamanaka Aluminum Crochet Hook 5/0 (3.0mm). This is a free pattern designed by Ashlee. This is 100% acrylic, but it doesn't feel like your typical acrylic yarn. First off, it's thin (with a Fine 2 yarn thickness) and you don't get the usual visible loose fiber with it. I shaped the sample below with some paper filling to highlight the shape of the booties. You can learn more about this yarn in this blog post I made last year. This pair consumed only a small amount from the compact skein of Red Heart Baby Sheen. It was a treat working with Hamanaka Paume. 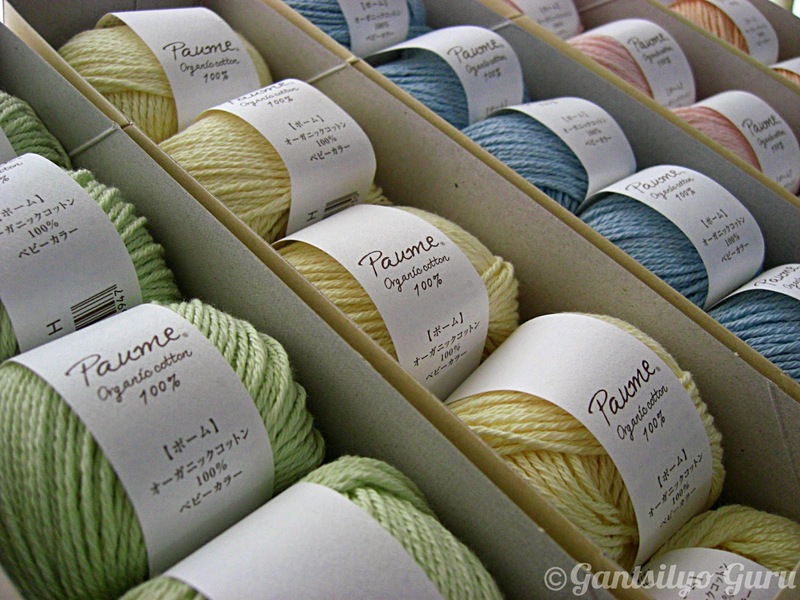 This yarn is made of 100% organic cotton from Japan. These shoes were made with Hamanaka Paume 93 (Yellow). This is an original design by Hamanaka. The pattern is available upon request when you purchase a ball from my store. This yarn is really soft! It has a very smooth texture and I kid you not when I say the yarn just went gliding through my fingers and hook when I was working with it. It consumed only a ball for this pair for a newborn. I used Hamanaka Aluminum Crochet Hook 5/0 (3.0mm). There are 5 pretty pastel colors to choose from. Good news is, they are on clearance sale! I also found this simple measurement chart for babies' feet for different ages. This should help you figure out the length of the sole if you want to make something in advance. A Weekend of Crafty Goodness at the Craft Pop-Up! 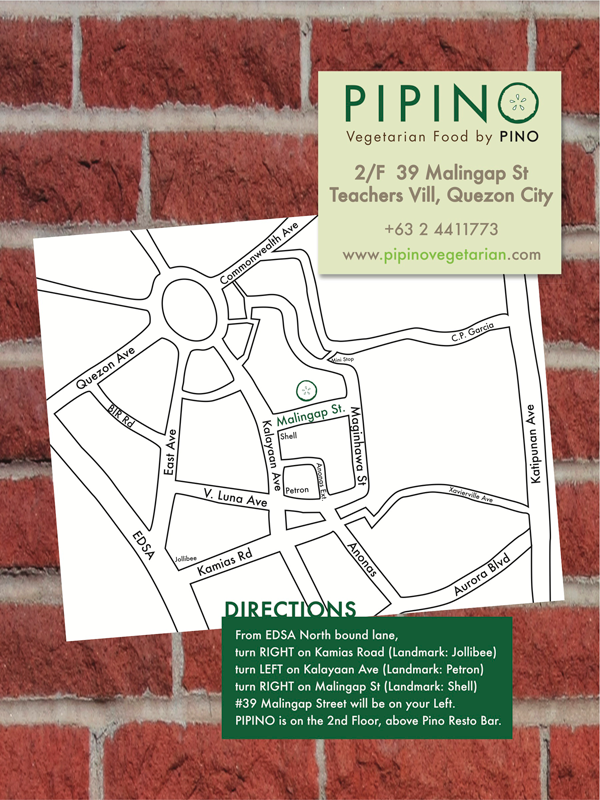 My very crafty friends and I will be having a Craft Pop-Up this weekend, May 10-11, at Pipino! It will be a full weekend of craft workshops by Life After Breakfast, Hey Kessy, and Gantsilyo Guru Selections and weekend-long offerings of craft tools and supplies (washi tapes, watercolor sets, calligraphy paper, and many more! 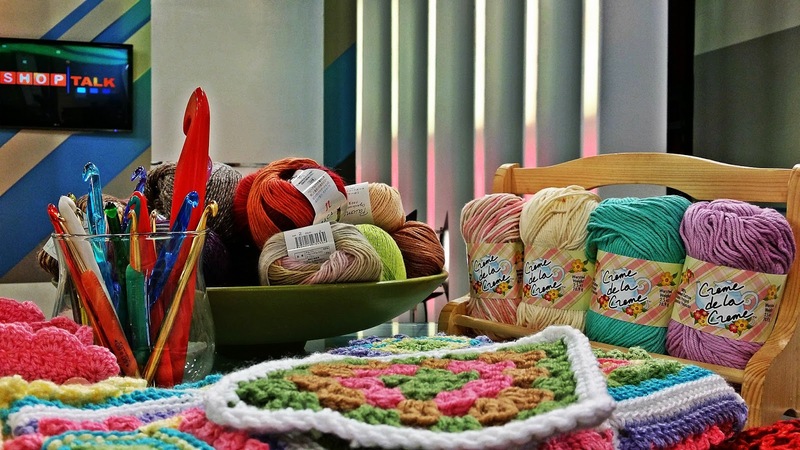 ), craft kits from iTryDIY, and of course yarn and crochet/knitting supplies! 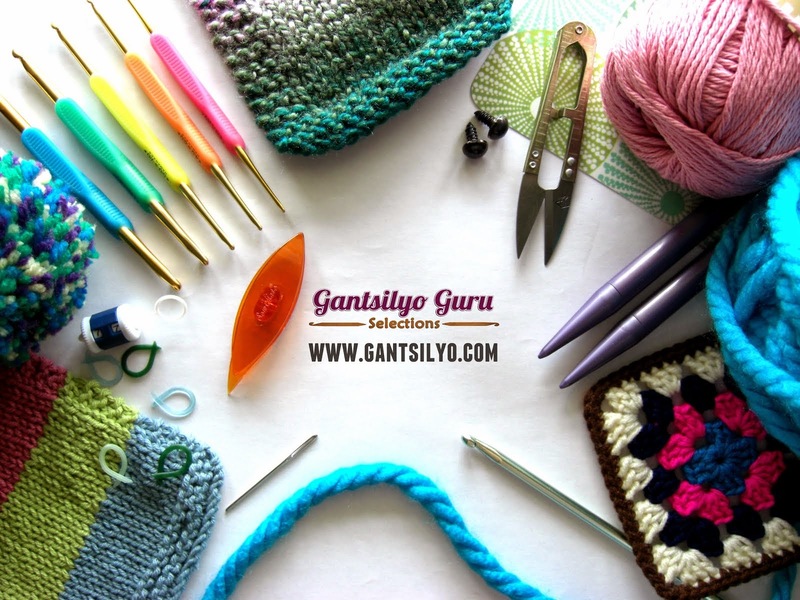 This is your (rare) chance to see and feel some of the yarn and materials I sell online! We will also be joined by Craft Carrot this weekend! Craft Carrot is a new craft supplies shop and they will be selling calligraphy tools, brush pens, rubber blocks, and paintbrushes! 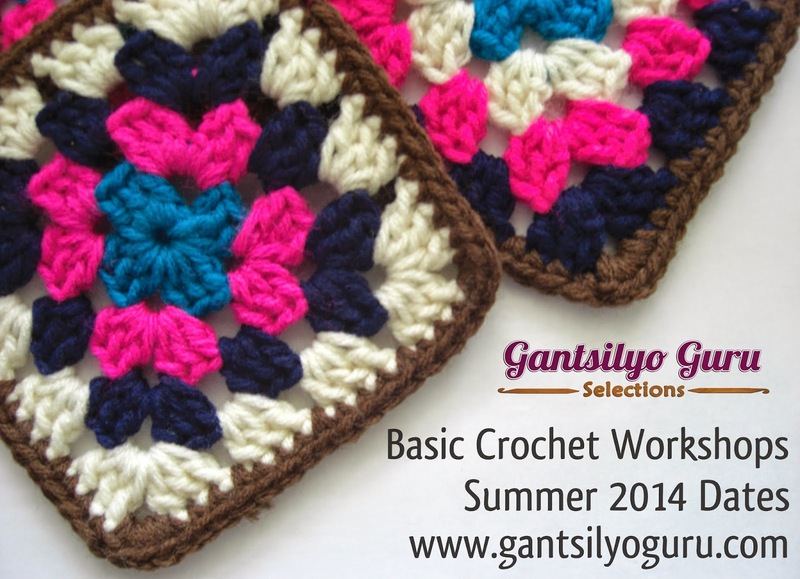 I still have 2 slots left for the Basic Crochet Workshop on May 11 (9:00 AM - 12:00 NN). 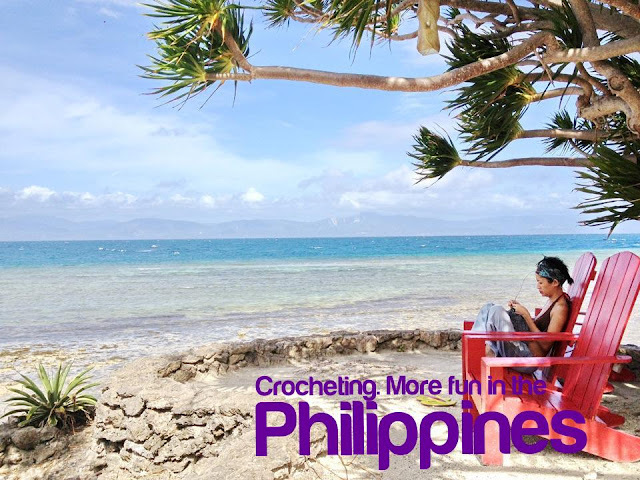 This workshop is great for those who have never held a crochet hook before or for those who might need a crochet refresher. Please click HERE to register. Please go to Life After Breakfast's blog to register for the Brush Calligraphy & Lettering Workshop and Hey Kessy's site to register for the Washi and Papercutting Workshop.